Whether you’re playing retro games through an emulator on Windows, Mac, or a custom-built Raspberry Pi console, you need a controller. We tested some of the most popular options, from simple Xbox controllers to retro replicas and expensive Bluetooth-enabled gamepads, to figure out which are worth your money. Sick of horribly embarrassing things showing up when potential employers Google your name? Tired of everyone knowing you live in a garden level dungeon apartment? Perhaps you just don't like the fact the internet makes you easy to find. Thankfully, it's not that hard to delete yourself entirely. Here's how to do it. Most of us—no matter how many time-saving techniques we employ—don’t have enough time to waste. But productivity comes at a cost: having that down time is extremely beneficial. We fight against boredom, distraction, and procrastination all the time, but that doesn’t mean you should get rid of them completely. Over the last few years, we’ve heard a lot about the critical differences between introverts and extroverts. We all heaved a collective sigh as we read personality descriptions, thinking, “that’s me!” But like many personality stereotypes, these aren’t very useful for understanding ourselves. History is full of evil dictators, and while the had their share of bad qualities, it’s undeniable they were efficient at getting things done. Here’s what we can learn from them, despite their evil nature. Writing a book will almost kill you. By the end, you'll be exhausted, brain dead, and filled with a bubbling sense of anxiety. I recently finished up my first book, and here are a few takeaways from the ordeal that can be applied to pretty much any large scale project. The Raspberry Pi is great for all kinds of interesting and complex projects. 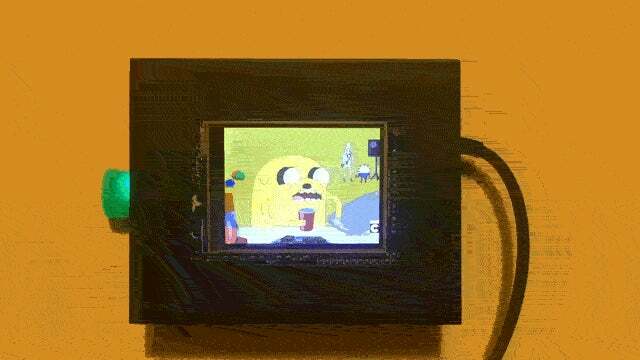 It's also great for stupid projects, like this animated GIF photo frame I made this week. Here's how to make one for yourself.